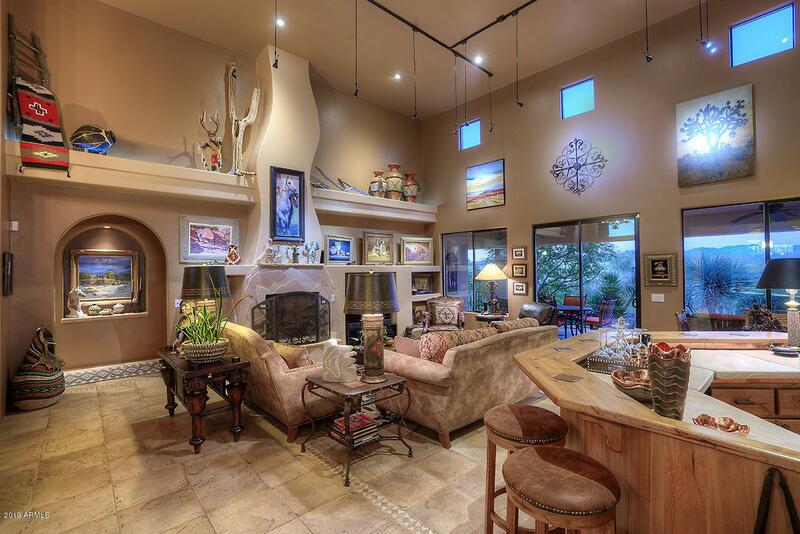 Spectacular Southwest Tuscan Showplace! 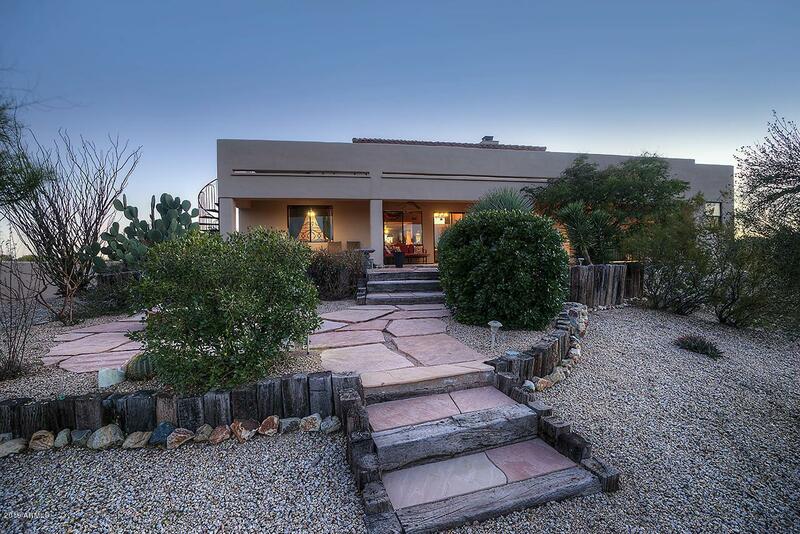 Located in a private gated entrance community. 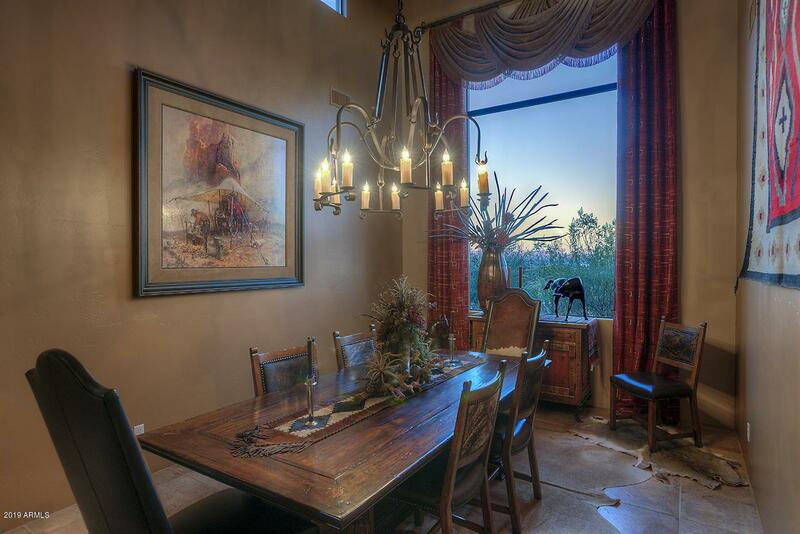 You will enjoy mountain views from the living room especially during the monsoon season with mauve and purple hues. This gorgeous home includes atop of the line features including copper accents, uniquely designed flagstone fireplace, many niches of various shapes & sizes plentiful wall space to display art work, custom bar, the gourmet kitchen with upgraded SS appliances, warming drawer, gas stove-top, Oven & built in Microwave, kitchen island & breakfast room. Hand carved bathroom counters, Office or den, Spacious master bedroom, Extra large walk-in closet. Viewing deck with built-in BBQ. 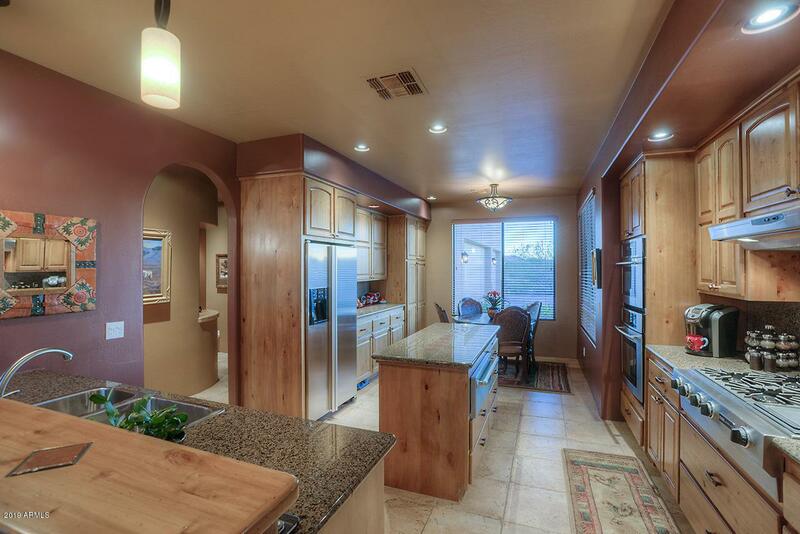 Extra large 3 car garage with built-in cabinets, fire pit. Fenced back yard Privacy.